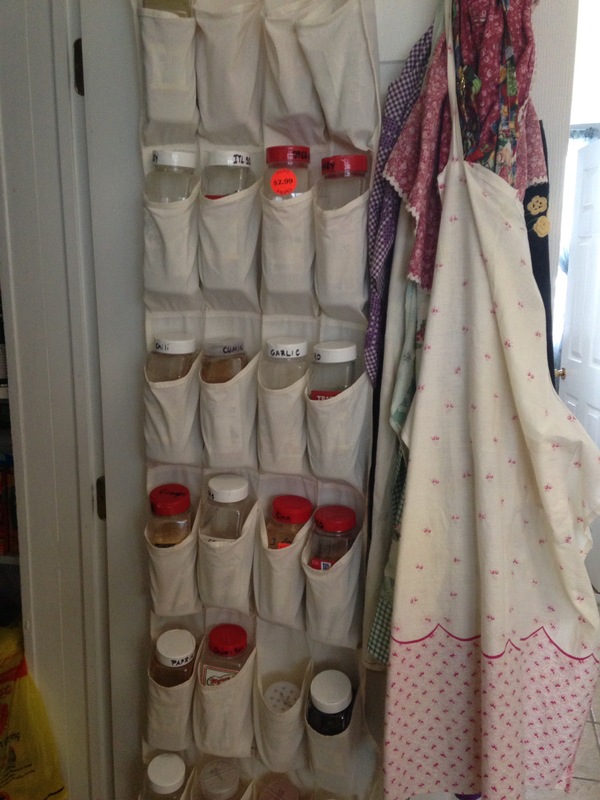 But a cute little spice rack will not do for keeping them organized. These bulk containers were wreaking havoc with my pantry shelves. So I came up with a handy DIY solution. 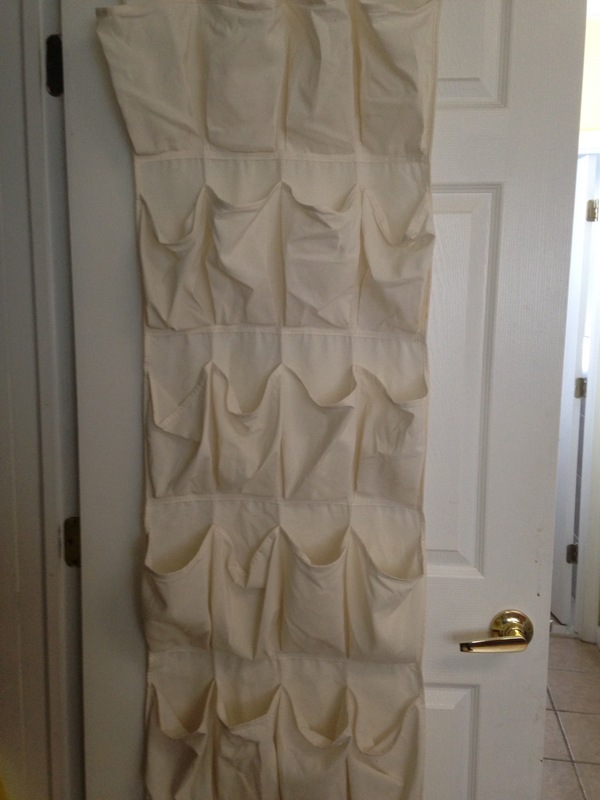 Over-the-door shoe organizer to the rescue! 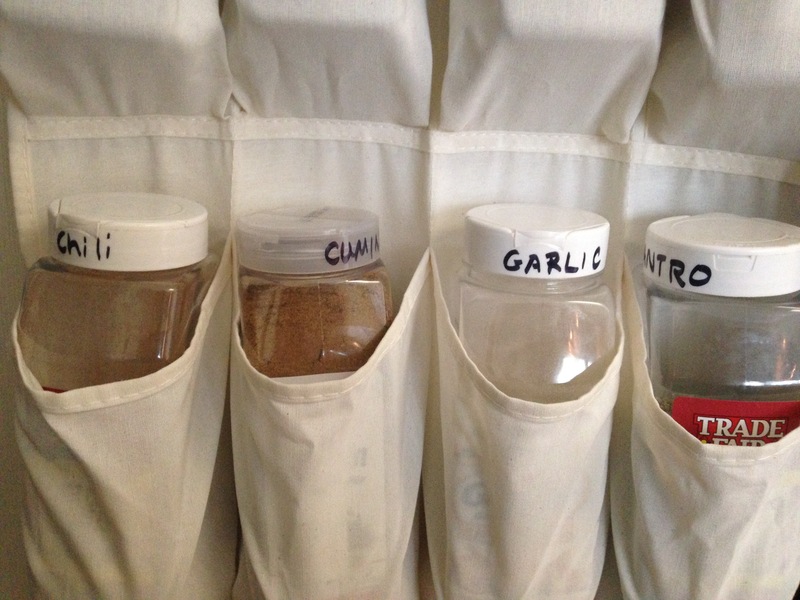 I labeled all the lids of my spice containers with a permanent marker and filled up all those pockets. I love the results. My favorite herbs and spices within easy reach and I don’t have to shuffle through my shelves looking for them anymore. Hooray for organization! This entry was posted in Herbs, Home, Pantry. Bookmark the permalink.